This attractive and sand coated oasis has a concealed heating element inside to keep water from freezing during the winter. 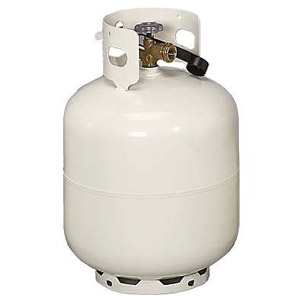 The 60 watt built in heater is thermostatically controlled to operate only when necessary. 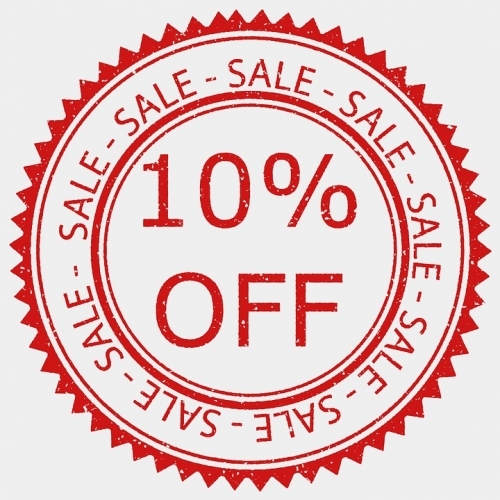 This product can be used all year round as the cord tucks away during the off season - hidden from sight. It comes with a one year manufacturer warranty. 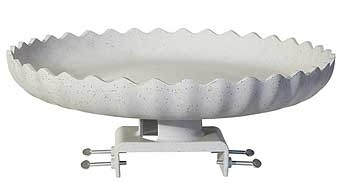 The decorative scalloped design mimics concrete birdbaths in appearance and can be used year round. Hidden electrical connection; simply plug extension cord into the built-in eelectrical connection underneath the unit. Twist-on deck mount removes easily for convenience and cleaning. Thermostatically controlled to operate only when necessary. Costs only pennies a day to operate. 3 years manufacturer guarantee. 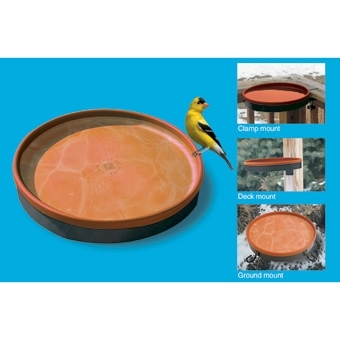 Versatile 3-IN-1 Heated Birdbath keeps water from freezing during the winter and can be easily mounted in 3 different ways (ground, top deck rail, post). It's thermostatically controlled with a 75 watt heater built it so it will operate automatically. 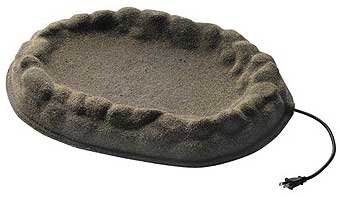 It holds one quart of water and has a shallow design that birds will love. Cord tucks neatly out of the way for use during the warm weather.